Chris Harrison returned to the signature mansion where "The Bachelor" and "The Bachelorette" are filmed after it was damaged during last fall's California wildfires. "She's never looked so gorgeous. After what our community has been through this year I'm more grateful than ever to be back home #TheBachelorette #BachelorMansion," the host posted on Instagram on Sunday alongside a front facing photo of the property. 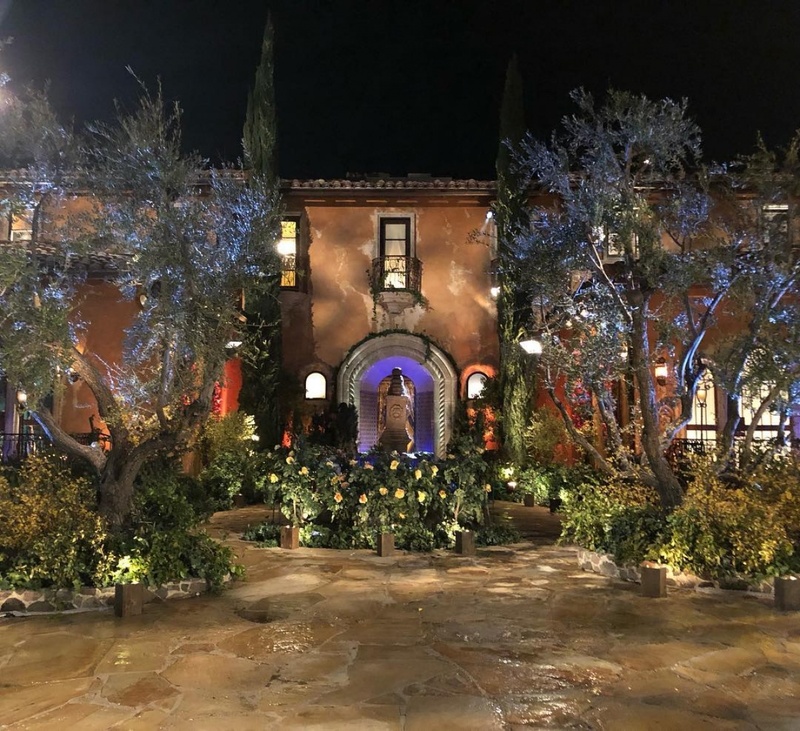 "The Bachelor" mansion, which is set to be featured prominently during Season 15 of "The Bachelorette," starring Hannah Brown, which began filming this weekend. It suffered damage in November after the Woolsey wildfire entered the city of Agoura Hills. A building on the estate used as the production headquarters for "The Bachelor" and "The Bachelorette" was destroyed. Season 23 of "The Bachelor," which recently wrapped up with Colton Underwood entering into a relationship with Cassie Randolph, was not affected by the wildfire.